Simultaneous Gravity and GPS measurements have been proven a powerful combination for detecting subsurface mass or density changes long before eruption precursors appear. High precision continuous gravity measurements are paramount for detecting fast changes in density and phase, as well as magma movements and separating seasonal effects from deeper processes that may occur over years. Nonetheless, the standard spring gravity meters used for these measurements are limited to 10 to 15 Gal precision and are degraded by non-linear drifts, scale factor variability and environmental effects. 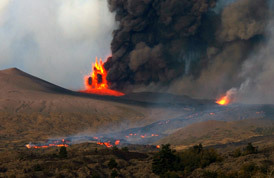 These problems interfere with modeling volcanic structural changes taking place over years to decades. GWR Instruments, Inc. is introducing the iGrav Superconducting Gravity Meter as an ideal choice for continuous volcano monitoring. The iGrav will improve precision to sub-μGal levels and will eliminate drifts and scale factor variability. The iGrav will provide a high precision, continuous gravity record that is ideal for interpreting volcanic activity and correlating with other geophysical measurements. As the models below show - Volcanic gravity changes range in amplitude from a few Gal to several hundred Gal depending on the size and depth of the source. Changes may occur suddenly in a few seconds or slowly over days, months or years. SGs have proven their precision and stability in distinguishing hydrological models with signal amplitudes of a few tens of Gal over a similar range of periods. 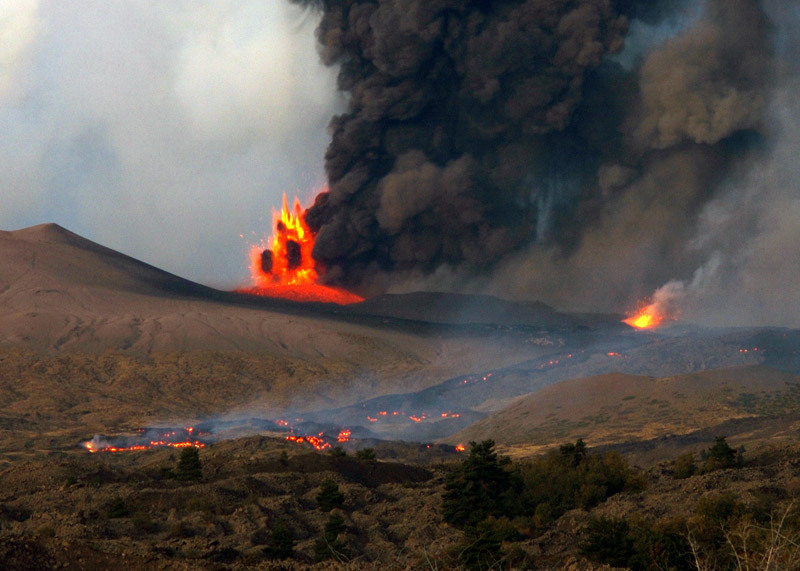 The iGrav is a proven choice to monitor and separate these complex volcanic signal sources. Calibration: Stable to a Part in 104 for Decades!